Peer Data Management Systems (PDMS) have recently attracted attention by the database community. One of the main challenges of this paradigm is the development and evaluation of indexing and query processing strategies for large-scale networks. So far, research groups working in this area build their own testing environment which first causes a huge effort and second makes it difficult to compare different strategies. 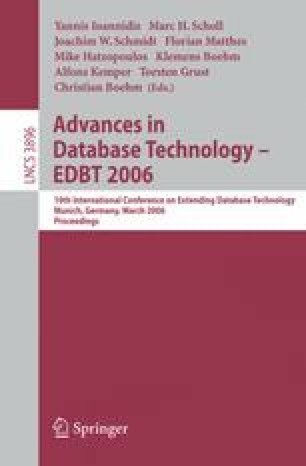 In this demonstration paper, we present a simulation environment that aims to be an extensible platform for experimenting with query processing techniques in PDMS and allows for running large simulation experiments in distributed environments such as workstation clusters or even PlanetLab. In the demonstration we plan to show the evaluation of processing strategies for queries with specialized operators like top-k and skyline computation on structured data.